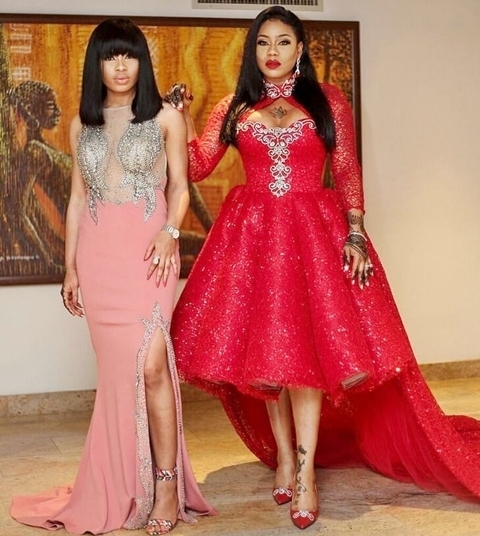 Lagos-based fashion designer and serial entrepreneur, Toyin Lawani, had yesterday lambasted Big Brother Naija 2018 winner, Miracle Ikechukwu for ending his relationship with Nina in a distateful manner. Miracle had over the past weekend released a press statement in which he explained he wasn’t romantically involved with Nina as he shared a photo with a mystery lady during a date at a restaurant in London. In a swift reaction, the celebrity stylist in a live Instagram video, said that Miracle deceived and led Nina on after the house, adding that he’s always visiting her and telling her they should keep it private. 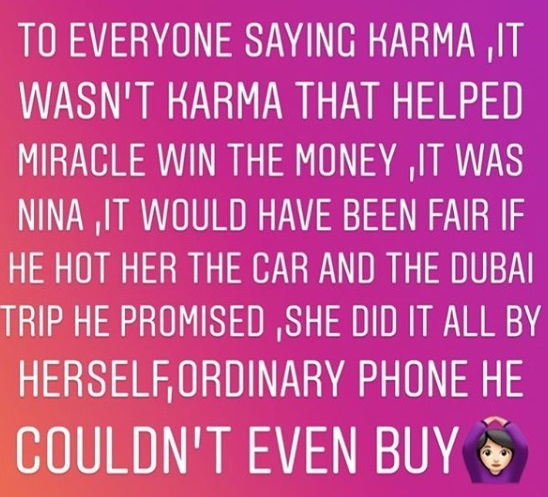 As the video went viral on social media, Toyin Lawani, took to her Instagram page once again, to continue blasting Miracle saying that he didn’t do anything for Nina with the money he won, and that he also didn’t get her the car he promised her as well as the Dubari trip. “Pls don’t tell me to stop, I’m truly upset, cause @nina_ivy_ won’t talk don’t mean I won’t, that’s her Business, she played the game with her heart, he played it with his head, insult me all you want I will still talk, I’m not Nina, better recognize, After he made the world think she’s a loose girl which she’s not, cause of what they both displayed on tv, if she’s your sister what would you do? “Lailai we go share that money by force, he should have compensated her, we all know Miracle didn’t do the writeup, we know who wrote it for him, cause he’s still begging , he enjoy London things change, omoojuorolari, your coins from big brother go soon finish no worry, but the truth is he cheated NINA, by still leading her on daily, I have proof so don’t push me, telling her to keep you people private and you go publicly to pull this stunt, argue with your ancestors.